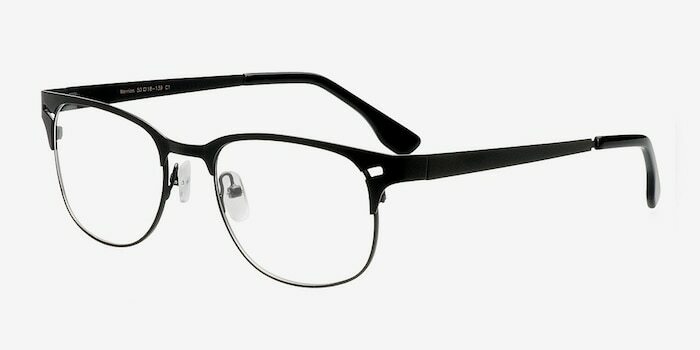 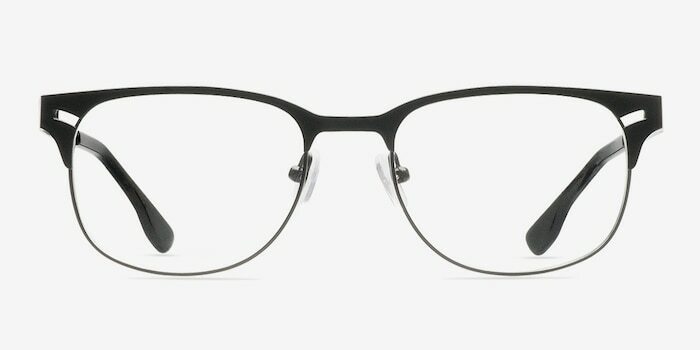 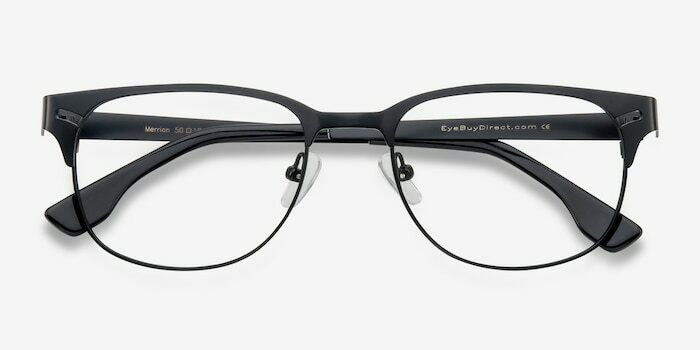 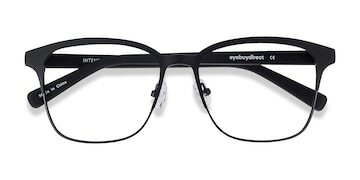 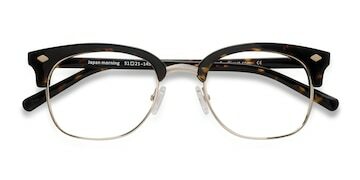 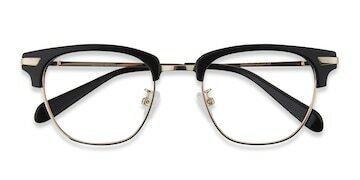 These black eyeglasses have a vintage feel. 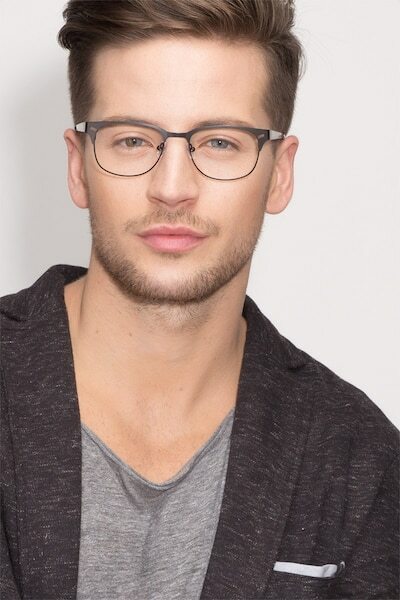 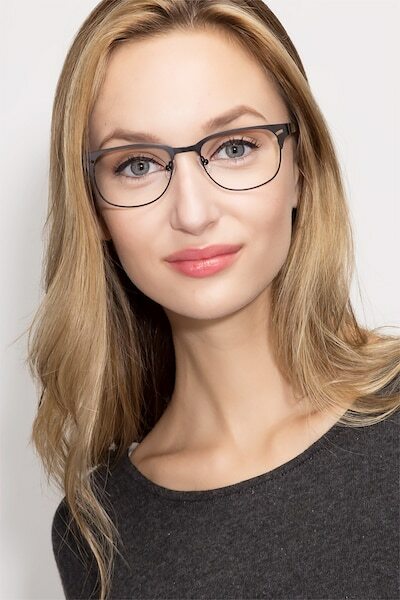 This timeless frame has a glossy black metal finish with an emphasized brow line, modest corner cutout, and rounded squared lenses. 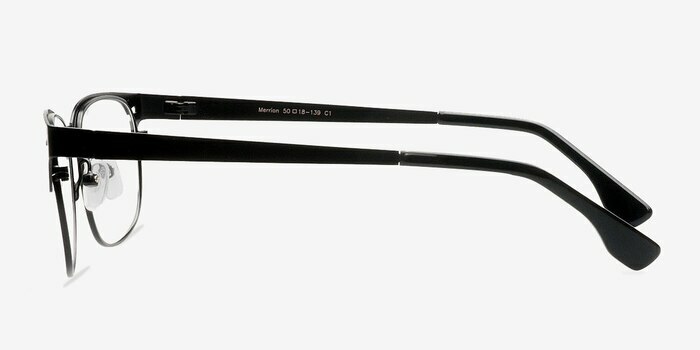 The temples are sleek and unembellished, completed with lightweight black arm tips.